Employers are usually on the lookout for superior performance or behavior which is in line with the organizations instilled values, mission and vision. There are some which decide to reward employees by giving a bonus on either a discretionary basis or a nondiscretionary basis. It is great to work for an employer who values employees for their superior behavior or performance. The employee gets the benefit and it is determined by the form of bonus which is received. Discretionary bonuses are the types of bonuses which are not tied to a certain level of production. 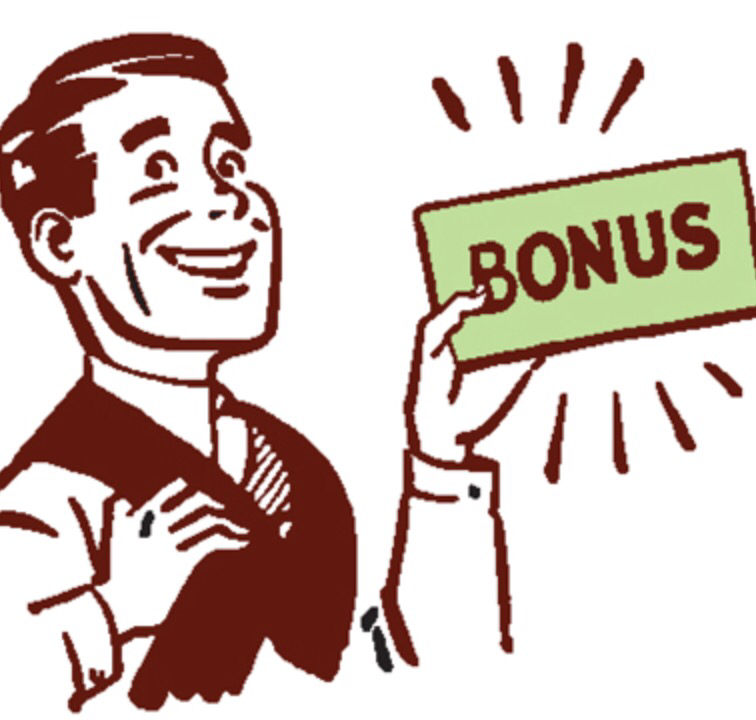 Examples of discretionary bonuses include spot bonuses or a bonus for being a good employee. Discretionary bonuses do not occur on a level of frequency or have a level of production which needs to be achieved to get a bonus. If your boss looks at you and says, “I want to give you a bonus for doing a wonderful job this week.” This type of bonus will be added to the check but not included in the employees wages for purposes of overtime. Overtime Rate: $700/50= $14.00 times 1/2= $7.00. $21 an hour for each hour of overtime. Overtime Rate: $10.00 times 1/2= $5.00 plus $10.00= $15.00 per hour of overtime. As you can see in the example above, it is very important to include your nondiscretionary bonuses in overtime compensation calculation. If you calculate it wrong, you would have shorted the employee $60.00 of compensation. This type of violation is worthy of a call to the Department of Labor. I’m sure the IRS would be happy to hear about this as well because they would have needed to take more tax on the $60.00 of missed wages. Employers have to be very careful about the type of bonus they will assign to their employees since it has grave implications on the employees pay. If the same employee was going to receive a $200 bonus one week because the manager was pleased with employees customer service, this would be considered a discretionary bonus because there was no set level of production or threshold. Discretionary bonuses are not a, “this-for-that” type of situation since the employee does not have to do something to get the bonus. Just being a good employee is a good enough excuse for some employers to give a bonus. But we all know not all employers have the financial means to do so. Christmas bonuses are a good example unless they occur every single year. If you tie it to the financial environment (for example, the company can only give a bonus if the company has the financial means to do so), this would be considered a discretionary bonus. Please keep in mind, exempt level employees do not get overtime; therefore there is no overtime calculation. If the employee gets $1500 every two weeks and gets a $200 bonus, the employee will be compensated $1700 (before taxes of course). As always, you give us readers some very relevant information during the holiday season. Nice post. Thank you very much, John! Happy Thanksgiving, sir!